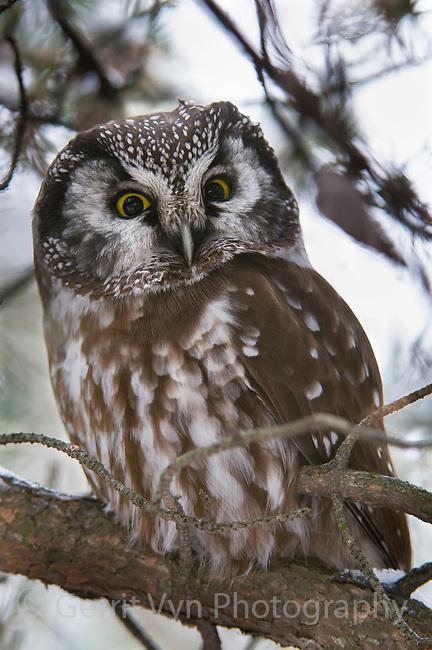 Adult Boreal Owl (Aegolius funereus) roosting in a Jack pine. Ontario, Canada. December.